It’s true what they say, you know. Follower count really is just a vanity metric — it’s engagement that matters most. But on the other hand, we don’t know many business owners that wouldn’t appreciate a few more Likes on their Facebook page. And while it might be considered “vain,” we think followers still count for something. There is value there! To many consumers, the number of Likes your Facebook page says a lot about your business. After all, a business with 5,000 Likes has to be better than one with a mere 500, right? Surely they have a superior product or else they wouldn’t have so many fans! We know that’s not true, but it’s not hard to see how and why consumers can jump to those conclusions. More followers also means better reach. The more page Likes you have, the more eyeballs you can expect on your content. That’s just a fact, algorithm updates aside. There are 2.2 billion users actively using Facebook each month. Is there something you could do to capture their attention? Absolutely. Here’s are some ideas for you to try. Getting more followers starts with driving traffic to your page, and there’s no easier way to do that than to add an icon/link to your website. If consumers like what they see on your site, they’ll likely want to stay up to date with you. Having the Facebook icon on your website will let them know that’s the best way to do that — and to Facebook they will go! We also suggest adding it to your email signature. Think about how many emails you send every day to prospective and current customers. Those Likes can add up. Let’s say a consumer lands on your Facebook page right now. What’s going to make them hit that Like button rather than just scrolling through a few posts and moving on? Quality. Content. Your posts should be engaging, visually striking and relevant if you have any hopes of hooking consumers. Make sure you’ve take tne the time to develop a strong content and visual marketing strategy, and then execute the heck out of it. Keep in mind, though, that it’s not enough to just post every now and then. People follow you because they want to hear from you… and large gaps in your publishing schedule immediately communicates to a consumer that they won’t. So they probably won’t bother to hit Like. There are plenty of online tools out there to help you create and schedule posts ahead of time to keep your followers happy. Use them. Yep. 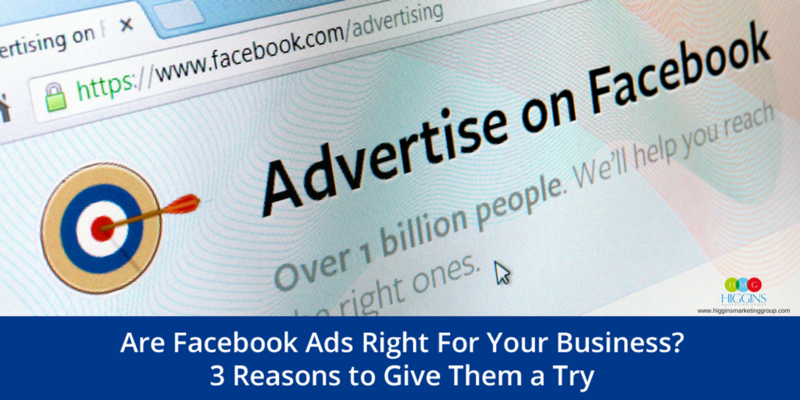 You can run Facebook ads just to get people to like your page! This is pretty straightforward — just log in to your business manager account and go from there. We do have some tips for you, though, to help you get the most out of your Like campaign. First, optimize your ad for mobile. Most of your impressions will likely be coming from mobile devices, so you’ll want to make sure the ad looks good even on a tiny screen. Second, be specific when choosing who to target for the campaign. You don’t just want any Likes, you want quality Likes. Use what you know about your customers and any buyer personas you’ve developed to select the right audience for the ad. Lastly, consider adding an incentive. 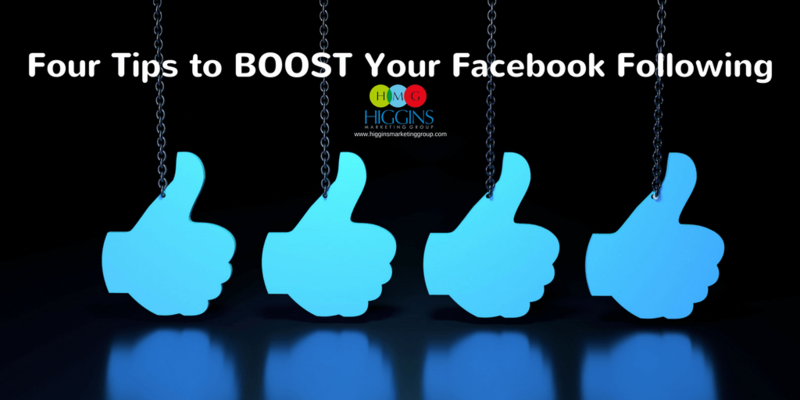 Giving people a reason to like your page is going to make them much more likely to do it. Maybe it’s staying up to date on the latest trends in the X industry, or getting the best tips and tricks about Y. Either way, let them know what they’ll get out of liking your page. Want more Facebook followers? Sometimes all you have to do is ask. Here’s another great way to invite people to your page, and it’s a little sneaky. Go to a recent post on your page and click the names of people who liked it. A box will pop up that says something like “Invite to like [your page].” Anyone who doesn’t already follow you, click the invite button next to their name. Chances are if they’ve liked your content in the past, they’ll go ahead and follow your page too. These strategies should help you gain some traction and boost your follower count, but remember — page Likes aren’t the be all end all. There’s much more to digital marketing success than the number of people who Like your Facebook page. Need help getting your strategy in line? Contact Higgins Marketing Group today to set up a consultation and get started on your small business marketing plan. 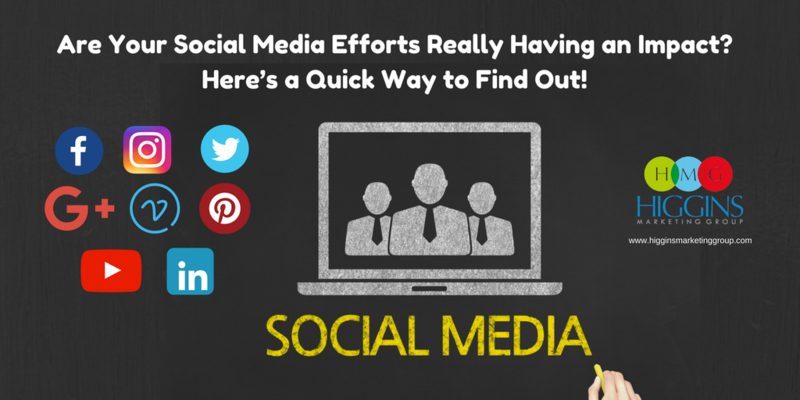 Are Your Social Media Efforts Really Having an Impact? Here’s a Quick Way to Find Out! 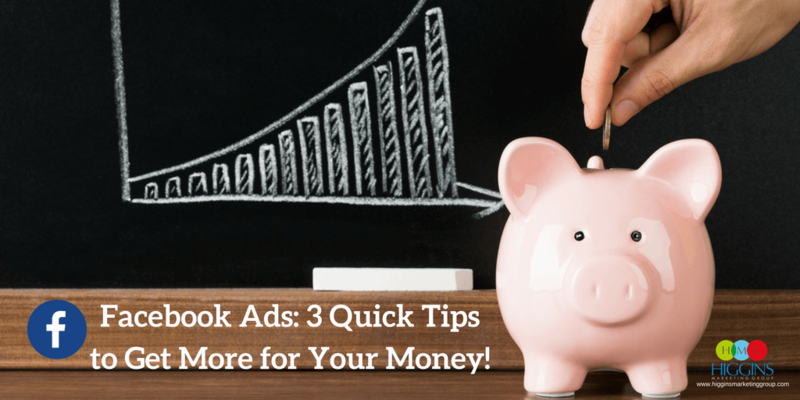 Facebook Ads: 3 Quick Tips to Get More for Your Money!